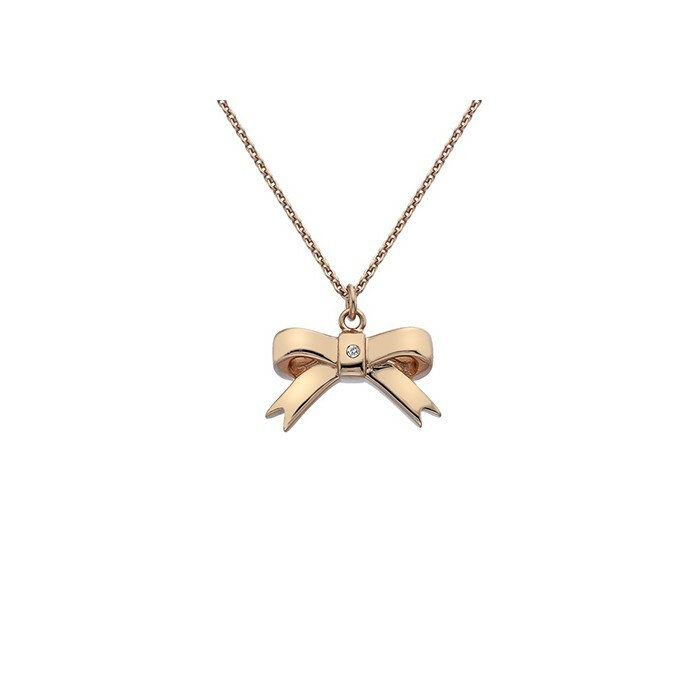 Sterling silver and rose gold plated ribbon pendant from the Hot Diamonds&apos; Love Collection. Supplied on a 16 to 18 inch extender chain. Hot Diamonds&apos; jewellery is made in solid sterling silver and contains real diamonds. Each piece is rhodium plated to prevent tarnishing and ensure long lasting beauty. Supplied in a deluxe Hot Diamonds&apos; presentation box. 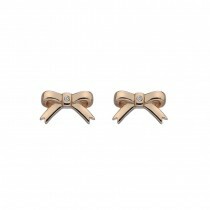 A pair of sterling silver rose gold plated ribbon stud earrings (12 x 7mm) from the Hot Diamonds&apos; Love Collection. Hot Diamonds&apos; jewellery is made in solid sterling silver and contains real diamonds. Each piece is rhodium plated to prevent tarnishing and ensure long lasting beauty. Supplied in a deluxe Hot Diamonds&apos; presentation box. 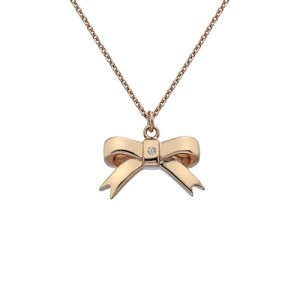 Sterling silver ribbon pendant from the Hot Diamonds&apos; Love Collection. Supplied on a 16 to 18 inch extender chain. Hot Diamonds&apos; jewellery is made in solid sterling silver and contains real diamonds. Each piece is rhodium plated to prevent tarnishing and ensure long lasting beauty. Supplied in a deluxe Hot Diamonds&apos; presentation box. Sterling silver ribbon ring from the Hot Diamonds&apos; Love Collection. Hot Diamonds&apos; jewellery is made in solid sterling silver and contains real diamonds. Each piece is rhodium plated to prevent tarnishing and ensure long lasting beauty. Supplied in a deluxe Hot Diamonds&apos; presentation box.